The Scheme – UDAY (Ujwal Discom Assurance Yojana) has been launched to improve financial and operational efficiencies of power distribution companies (DISCOMs). It envisages to reduce interest burden, cost of power and AT&C losses. Consequently, DISCOM would become sustainable to supply adequate and reliable power enabling 24×7 power supply. The scheme provides that States would take over 75% debt of Discoms, as on 30th September, 2015 in two years. 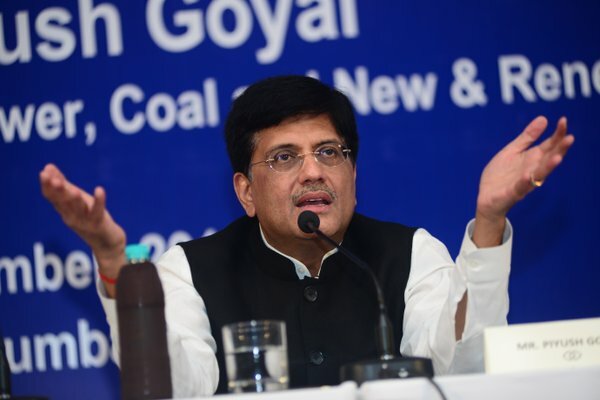 This was stated by Shri Piyush Goyal, Minister of State (IC) for Power, Coal & New and Renewable Energy in a written reply to a question in the Rajya Sabha the otherday. In a written reply to another question, the Minister further stated that UDAY has inbuilt incentives encouraging State Governments to voluntarily restructure their debts. These incentives include taking over of DISCOM debt by the States outside the fiscal deficit limits; reduction in the cost of power through various measures such as coal linkage rationalization, liberal coal swaps, coal price rationalization, correction in coal grade slippage, allocation of coal linkages at notified prices; priority/additional funding through schemes of MoP & MNRE; and, reduction in interest burden. UDAY is different from earlier restructuring schemes in several ways including flexibility of keeping debt taken over outside fiscal deficit limit, reduction in cost of power and a series of time bound interventions for improving operational efficiency. UDAY provides for measures that will reduce the cost of power generation, which would ultimately benefit consumers, the Minister added.